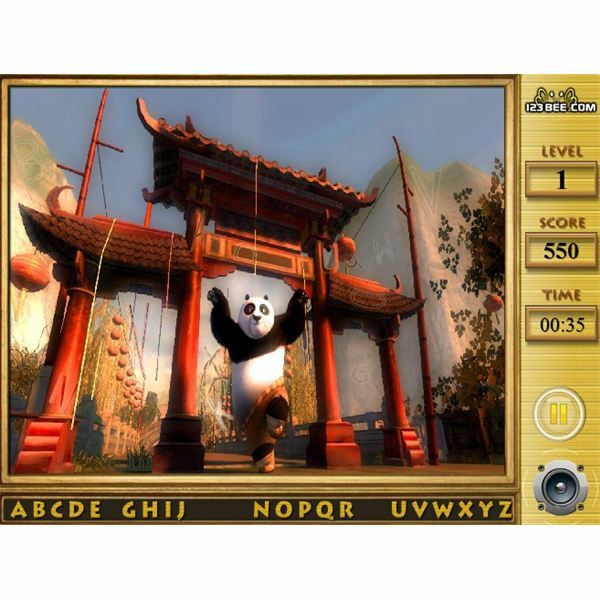 There are plenty of free Kung Fu Panda games, including educational hidden object games, themed board games, online coloring books and addictive action platformers. These games load quickly, even with the slowest Internet connection, and can be played on your notebook anywhere. All you need is the latest Flash player, your browser and plenty of time to kill on a boring Sunday afternoon! Legend of the Wu Sisters is a fun platformer. The objective is to guide these two deadly snow leopards to catch falling scrolls. Each successful catch will earn you points, but make sure you don’t get hit by huge boulders and flying bats while catching scrolls. To avoid getting hit, move them away from the object and click above the sisters to go up. If you want to go down, all you have to do is click below the two felines to make them climb down the platform. In Legend of the Wu Sisters, the goal is to save the third WU sister and to accomplish this you will have to move the two sisters through different levels of a Shaolin Monastery. The game tests your reflexes and sees how fast you can avoid any incoming obstacles. The controls are mouse-based and easy to learn. The game has good 2D visuals, much better than other Flash games you’ve played on your browser. Overall, the game is a nice platformer worthy of your free time. The classic Mahjong now features your favorite Kung Fu Panda tiles. 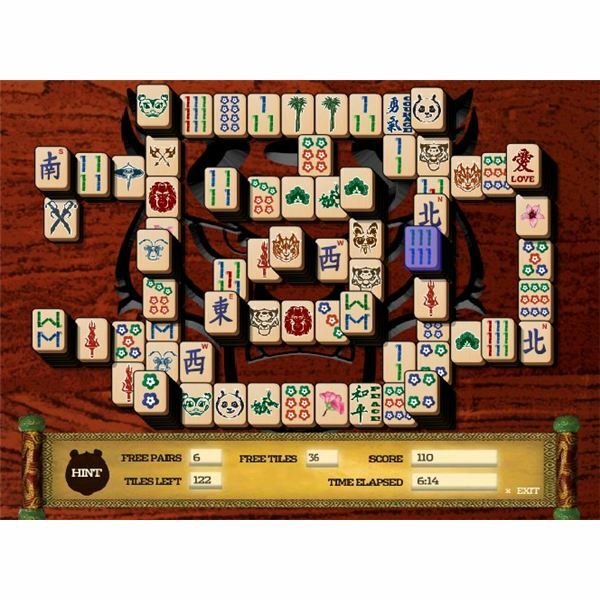 Mahjong players will quickly identify the layout and will love the Panda twist. Players can select their favorite ones from a variety of layouts. Each layout has special tiles featuring nice hand-drawn images of Kung Fu Panda characters. Those who don’t know how to play will have to refer to the in-game instruction manual. The objective is simple: Players have to match tiles by selecting two matching tiles that are not blocked by other tiles from the right or left. Players can only select those tiles that are not blocked from at least one side and they have to remove all tiles one by one from the game board to win. There are some exceptions, for example courage, friendship, peace and love tiles can match and any single flower tile can match with another flower tile. There’s also a hint system that highlights all similar-looking tiles. Overall, Mahjong Mayhem is a cool, nice Kung Fu Panda-themed online board game and has a variety of layouts to select and play. Take advantage of Po’s mastery in throwing fireworks at his enemies. This fixed screen first-person online game tests how quickly you can throw pots full of fireworks at Po’s foes. Armed with the mouse and spacebar, you will have to wait for Tai Lung and other deadly enemies to appear and press the spacebar at the right time to attack them. Colorful streaks of light scatter as soon as you hit the target, and you get rewarded with virtual gold coins for every successful hit. The crosshair will help you attack your target easily, but Po’s enemies are quick. They hide immediately and perfect timing is required to throw pots at them. 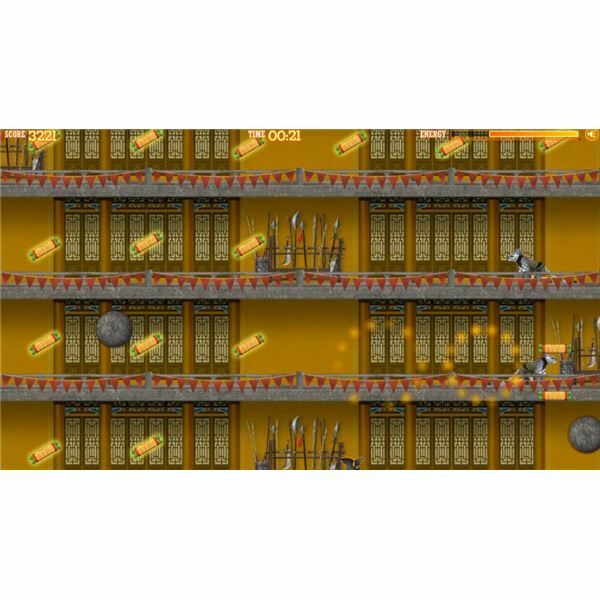 The game gets quite addictive once you know how to throw pots accurately at different targets. Fireworks Toss loads quickly and can be played on your browser even if your Internet connection is slow. Find the Alphabets is a nice educational Flash game suitable for kids aged 5-10. The game tests your child’s observation skills by allowing him/her to find the letters cleverly hidden in Kung Fu Panda movie scenes. Each level displays a different movie scene borrowed from the King Fu Panda animated movie. Your child will have to click on the hidden letters of the alphabet and for every correct click, he will score points, but scores get reduced for every wrong click, which means the game does not allow for random guesses. Below each movie scene, you will see the list of letters. Every successful alphabet find will remove the corresponding letter from the list. The game also has a timer that measures how quickly kids find all alphabets. If they find them quickly, the timer rewards them additional bonus points. The game is similar to other hidden object games online, but instead uses familiar letters. The game cleverly hides the letters and improves your child’s concentration skills. 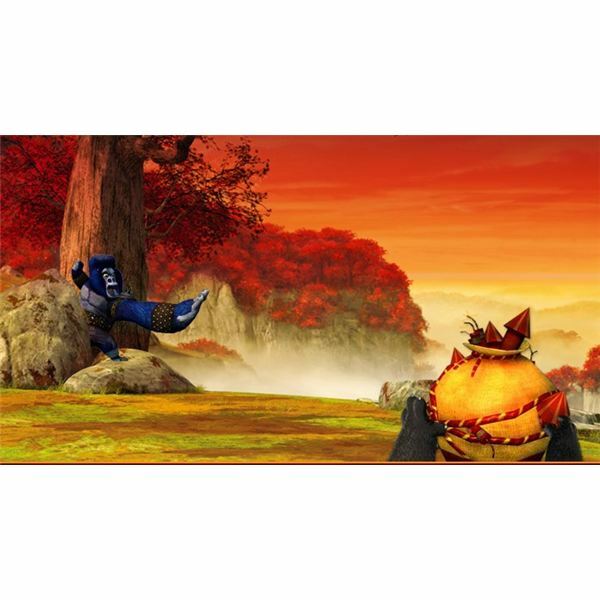 If you are looking for a free educational Kung Fu Panda game online for your child, then I think this will work.